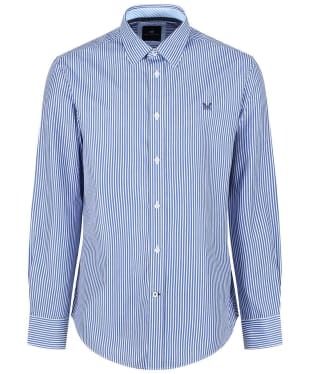 Love a striped shirt? 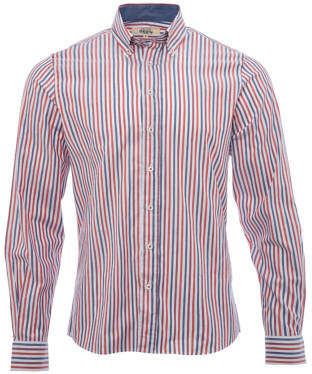 Well you will love this section as is bursting full of stylish striped shirts on special offer!! Whether you prefer a bold stripe or a more subtle stripe you will find the stripe your favourite right here, and at the fraction of the price what’s not to love? This section is bursting full of all your favourite brands, and with a range of fits we are sure you won’t leave without one or two (or why not more at these fantastic prices) in your basket. 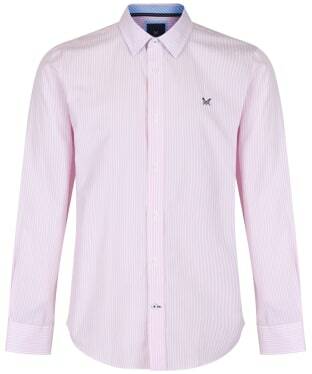 The men's Hackett Lolly Stripe Shirt is a stylish and smart shirt, perfect for spring summer wardrobe this year. 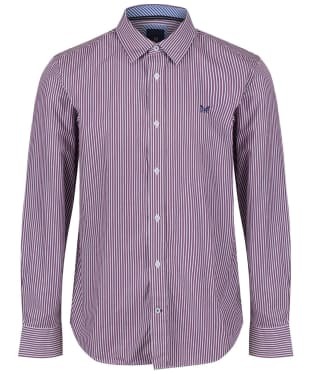 The shirt has a simple, thin vertical striped design in complimenting colours blue and pink. 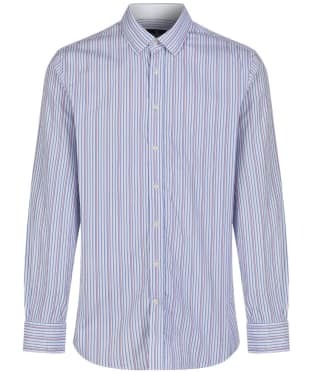 With the classic features of a smart shirt, long sleeves and stiff collar the Lolly Stripe shirt is there to make you the most stylish man in the office. 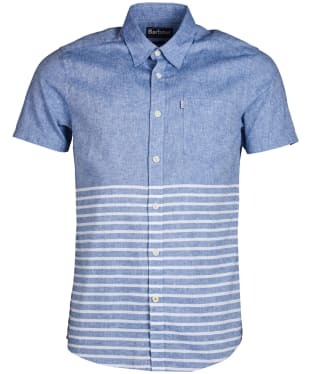 This shirt comes in a classic fit. The classic Joules Henley Shirt has returned for another season, crafted from 100% cotton which feels soft against the skin and will wash and wear beautifully. The Henley is cut to a slim fit which falls in line with your contours for a sharp and tailored fit. 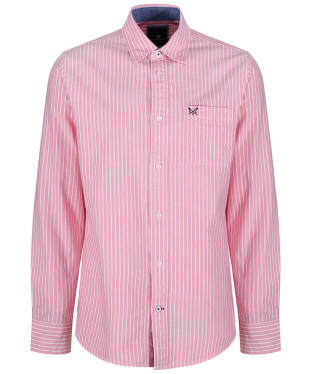 Features a fine white stripe, button through collar, chest pocket, a full button down front and finished with the Joules hare logo. 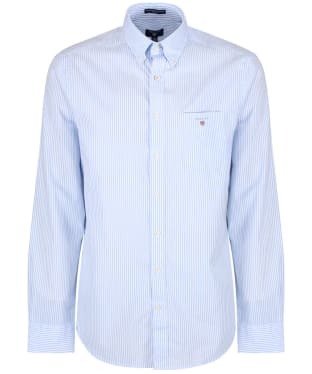 Cut to a regular fit to offer you ease of movement and a classic silhouette and that you are sure to love, the Men's GANT Regular Broadcloth Banker Shirt is perfect for pairing with your favourite GANT chinos or jeans to complete your stylish look. 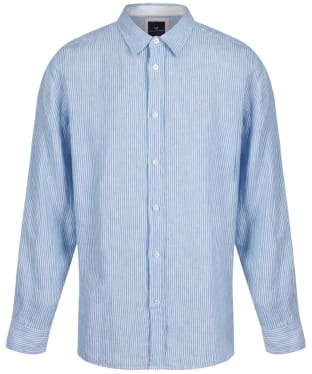 Crafted from 100% poplin cotton, the soft and comfortable shirt is ideal for any occasion, and features a button down collar and cuffs as well as a pocket to the chest for that smart feel. 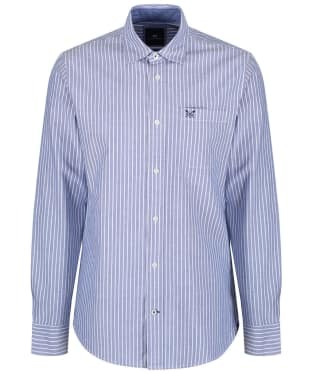 Designed with a classic banker stripe, the shirt is sure to keep you on-trend through this season and beyond and is finished with signature GANT branding for that added mark of quality. 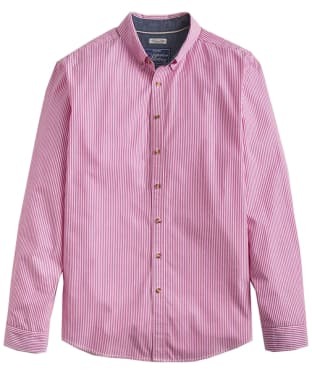 The Joules Talbert Shirt is a versatile shirt that has been cut to a classic fit to flatter all shapes and sizes, and lend itself to a variety of different looks and occasions. 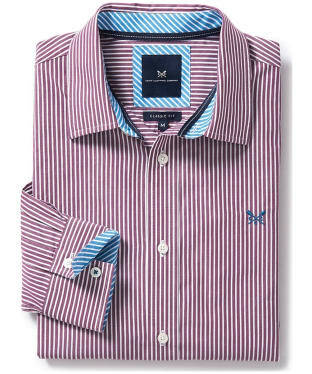 The horizontal stripe design offers a refreshing alternative to the vertical option, while the light pink hue is ideal for the warmer months. 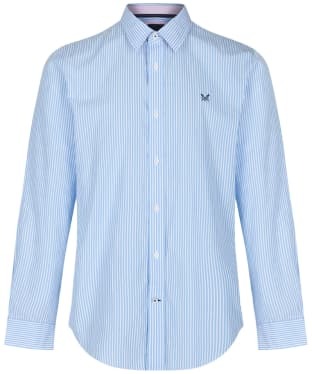 Crafted from 100% cotton for added comfort and wearability, the Talbert shirt features traditional tortoiseshell effect buttons to the cuffs, placket and collar for a neat finish. 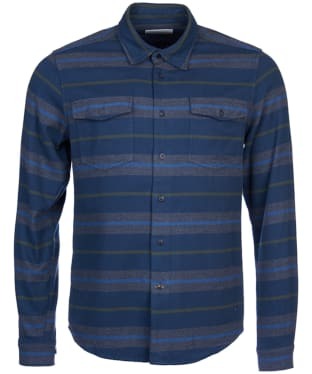 Featuring a versatile and easy-to-wear striped design, the Dubarry Kinvara Shirt is cut from 100% cotton for a cool and comfortable feel. 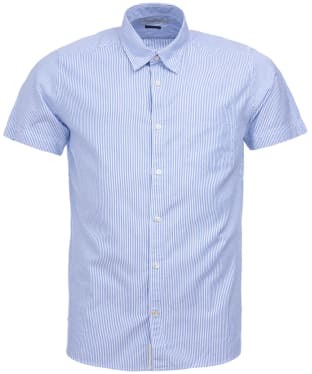 This high quality shirt features a yarn dyed design, and a contrast trim under the collar and cuffs. The barrel cuffs feature buttons around the wrist and further up the arm to allow them to be rolled back to suit your individual style. 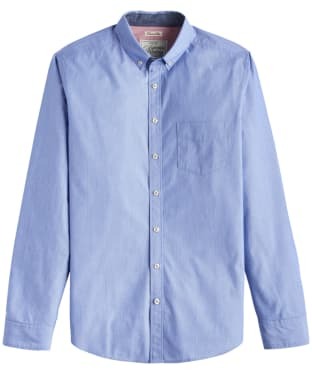 The Kinvara shirt includes a button down collar and a double button to the collar stand for a neat finish, and is sure to wash and wear beautifully time and time again. 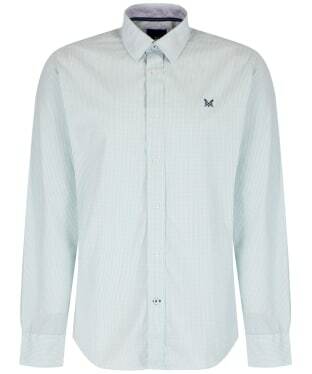 Complete your smart, casual look this season with the Men's Barbour Deck Shirt, ideal for finishing your off-duty style with ease. 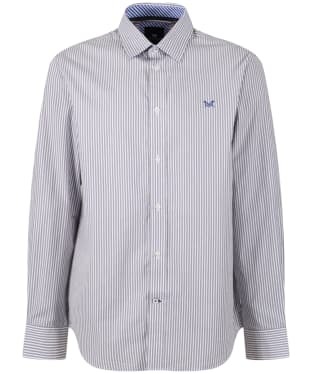 This stylish shirt has been crafted from 100% cotton for added comfort and breathability. The Barbour Deck features stylish stripes with a mix of board and thin stripes, for a stylish finish which will carry you through this season and beyond with ease.